At Harrison Park Elementary, one of Oregon’s most diverse schools in a neighborhood struggling with poverty and crime, a group of fifth-graders left their classroom and became active participants in their neighborhood. Learning about its structure, residents, and businesses, they then used that knowledge to call for change. 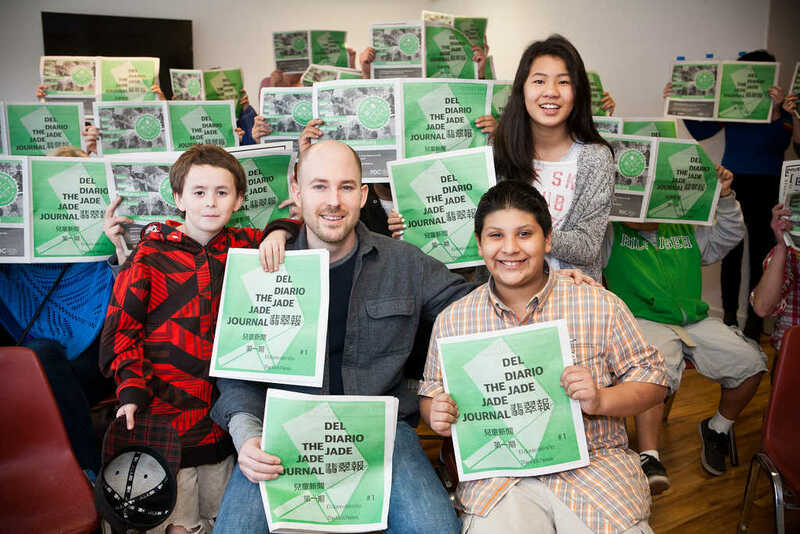 What they found went into a 26-page newspaper translated into English, Chinese and Spanish that they named The Jade Journal. “The Jade Journal” began as an idea of Marc Moscato, Executive Director of Portland non-profit Know Your City. To get the project off the ground, Moscato enlisted the help of Impact NW’s SUN Community Schools program operating at Harrison Park Elementary. The goal of the project was to celebrate the great diversity of the area, as well as educate the kids on issues of equity and civic involvement. Several 10- and 11-year-old students at the Harrison Park SUN Community School participated in the project. The Jade Journal took three months to complete, and upon completion the students were given a chance to speak to the Portland City Council during a March 11 council session. They spoke about the lack of adequate parks in their neighborhood and about walking to school and not feeling safe because of criminal activity and the lack of sidewalks.